Lolong Lasut is believed to be the founder of Manado, who lived in the early 16th century. He was a religious and respected person. He did the pioneering work to build "Tumani Negeri Wenang", which is now known as Manado. He also led the locals in fighting against Portuguese invaders. Today, his statue is currently standing tall in Manado's city square called "Taman Kesatuan Bangsa", which was inaugurated in 1987. Remarks : a few other places of interest are nearby and sometimes there are art performances in this city square. Unfortuanately there are no specific schedules for these performances. These are statues of two Indonesian national heroes. Pierre Tendean was an Indonesian army lieutenant when he was kidnapped and shot to death in 1965, as he protected one of the Indonesian high profile army generals. He was killed along with six army generals. Later the government awarded him with a posthumous rank of captain for his bravery. His body is buried in Jakarta's national heroes cemetery. Wolter Mongonsidi is another of Indonesia's national heroes from North Sulawesi. In the 1940?s he fought against the Dutch occupation and was captured and killed in 1949. 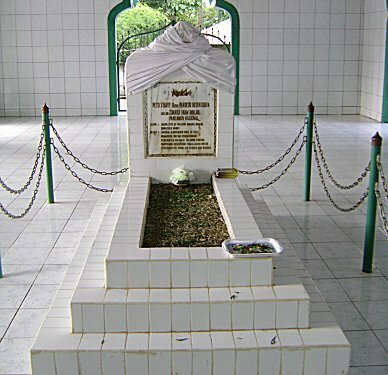 His body is buried in Makassar, South Sulawesi. How to get there : by mikrolet: take the one that goes to Boulevard. There are two versions of the story behind this 10 meter (33 feet) high memorial. 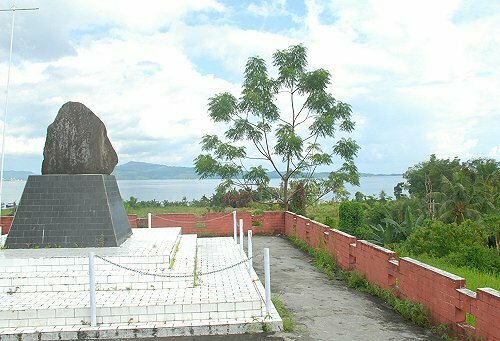 The first version says it is a Second World War memorial, which was built in the 1940?s, to mark the fall of Japanese troops in North Sulawesi and the second version says this was built during the VOC (Dutch East Indies) occupation in the 19th century. Remarks : a few other places of interest are nearby. This monument of seven soldiers was inaugurated on 10 May 1954, located near Pasar 45, where Dotu Lolong Lasut statue stands (see above). The battalion was named after a high ranking Minahasan officer in the Indonesian military in the early stage after Indonesia declared its independence in 1945. The Worang Battalion landed in south Sulawesi in order to fight against a local Dutch-backed rebellion. The statue is of North Sulawesi?s first governor, Dr. Sam Ratulangi (1890-1949), a native of North Sulawesi, who was an intellectual and a national hero for his dedication to his country against the Netherlands occupation through education. His statue is located near Grandpuri Hotel and Manado's main football stadium (Klabat Stadium). How to get there : from Pasar 45 mikrolet terminal take a mikrolet that goes in the "Samrat Coco" direction. This statue is in the middle of the roundabout intersection in "Wanea"
A recently built monument, finished in early 2008, is called "Titik Nol" or Zero Point, as many government administrative offices were located around this junction. It is also called zero point because it is said that locals 'measure distances' of places in the city from this point. How to get there : walking distance from "Pasar 45" mikrolet terminal. Imam Bonjol was an Indonesian hero, who was a leader in fighting against the Dutch in West Sumatera. Later he was exiled by the Dutch from his motherland in the early 1800?s, Imam Bonjol, who was born in 1772, had to spend the rest of his life in Manado, accompanied by Apolos, his loyal personal guard, until his death in 1864. A voluntary donation is required at this mausoleum and an old lady, who is a fourth generation descendant of Apolos and looking after the site, will direct you to fill in the guest book, which is located next to the donation box. An Imam Bonjol mosque is built right across the street. Click the picture above for more photos and bigger photos of the mausoleum of Tuanku Imam Bonjol. How to get there : take a minibus that goes in the Tomohon direction from Karombasan terminal in Manado, tell the driver that you want to go to this mausoleum. It's about 1 kilometer (1.100 yards) walk from the main road if you rent a car, it takes approximately 15 minutes from Manado's Boulevard. Statues of Lumimuut and her son, Toar, are described in Manado's main page. It is believed that Minahasans are the descendants of this couple. Other information : please see Bukit Kasih. Derived from the National Monument ("Monas") in Jakarta, this Tondano's version of "Monas" was inaugurated by the then North Sulawesi Province governor, H.V. Worang, on 17 August 1975. Locals in Tondano named this 15 meter [49 feet] high monument "Tugu Proklamasi" (proclamation monument). On its south are the public square and Minahasan regency office, while on its north is a shopping area. How to get there : either from Manado, Tomohon or Bitung, you can take minibuses that go to Tondano. Click here for how to get to Tondano from Karombasan terminal in Manado. This where North Sulawesi?s first governor, Dr. Sam Ratulangi (1890-1949), was buried. He was a native of North Sulawesi, who was an intellectual and a national hero for his dedication to his country against the Netherlands occupation through education. Remarks : the entrance gate is always closed but unlocked. You can enter freely and don?t forget to close it back when you leave the mausoleum. This is another Japanese related tourism site, apart from the caves. This Japanese Monument is located in Bitung. It is a monument in commemoration of the Japanese soldiers who died in Bitung while based here during World War II. 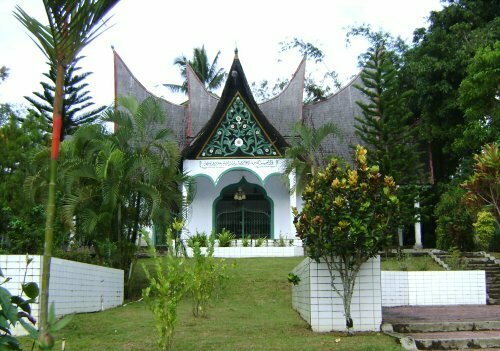 This was built by the Japanese and the North Sulawesi provincial government in 1987. Once you are there, you might find the entrance gate locked. If it is locked then you have to contact the monument keeper, "Om Udin " ( /�m oo-deen/ ) on his mobile phone number +62 813 40508274 or walk to his house, which is located on a small road across from the gate (an old house that looks like a hut, on the left side of the small road). This friendly senior citizen will accompany you back to the monument and will also help you finding an "ojek" to bring you back to the town center or Tangkoko Terminal (about 5 kilometers or 3.1 miles from Bitung town), and make sure that you will not be overcharged by the ojek rider/driver. The area around this monument can be breezy and sometimes the air can also be filled with coconut scent from an oil company in Bitung. Click the picture above for more and bigger photos of the Japanese Monument. 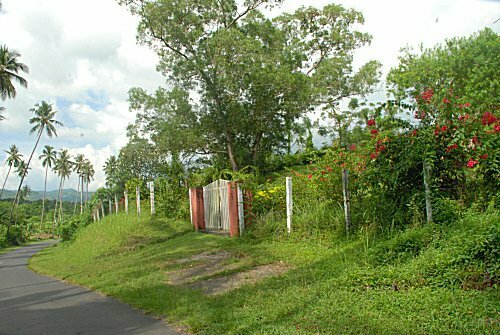 Remarks : it is suggested that you report your plan of visiting the monument to the head of the village office (about 100 meters [110 yards] from Bitung main road) to keep you away from any "unexpected situations", since the area is known to be a little dangerous, particularly for a single female traveler. The monument itself is currently not in its best conditions and no toilets are available. This 12 meter [39 feet] tall tower is also known as Menara BRI ( /m�-n�-r� b�-�rr-ee/ ), because a bank (BRI) is located in at the intersection around the tower. 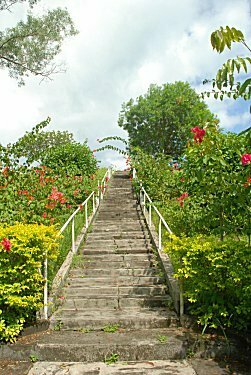 This tower is very obvious to visitors entering Bitung town from Manado, Tomohon or Tondano. The idea of building a tower similar to the Eiffel tower came from a mayor who studied in Paris during his earlier years. 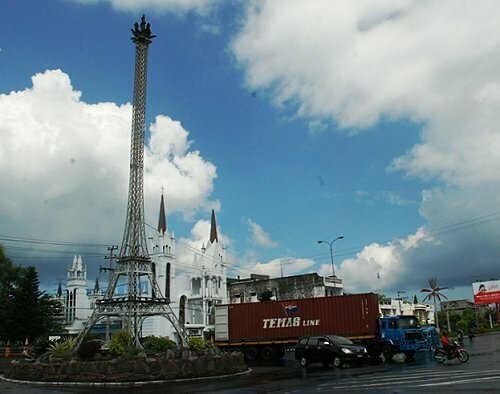 Click picture on the right for more and bigger photos of Bitung's Eiffel Tower. Sama-sama. Glad it can help you. Jangan lupa untuk "LIke" Facebook JoTravelGuide.com ya. Jangan lupa untuk ikutan "Like" Facebook kami di www.facebook.com/JoTravelGuideDotCom ya. Nice Info ........... Thanx !! !